While in Normandy, we used Courseulles-sur-Mer as our base for traveling. It’s a small town on the coast famous for its oysters (25% of oysters in France come from Courseulles-sur-Mer) and June Beach (one of the 5 D-Day beaches). The town is very lovely and relaxing. When I researched Courseulles-sur-Mer before booking, I read it’s mostly a resort town with the houses owned by Parisians. I wish we had planned more time to enjoy the city – so beautiful and the seafood and fish are outstanding! Day Four was our last full day in Islay, so we needed to make the most of it! 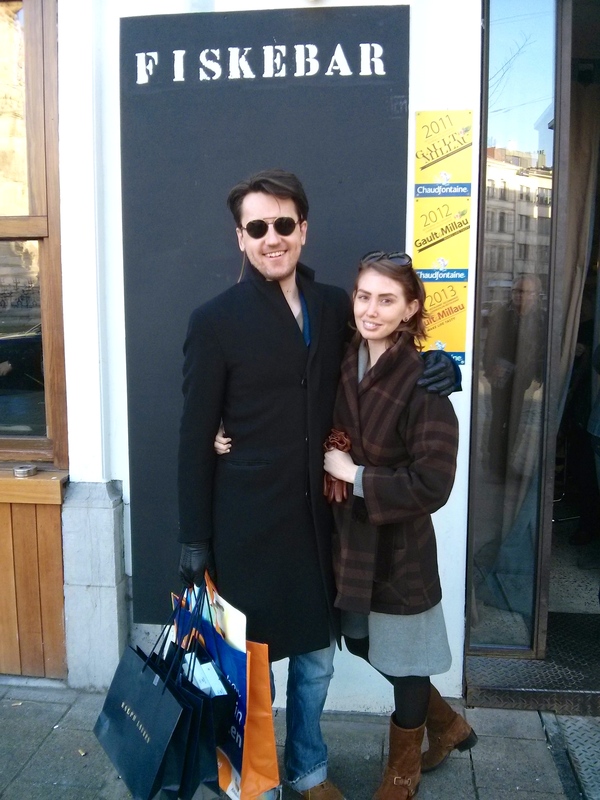 For Koen’s birthday, we celebrated with lunch with the family at the Fiskebar in Antwerp! Even though it was cold outside, the sun was shining. So it was a perfect day to go for a walk and then enjoy delicious wine and seafood with great people!